TERRAIN- mixed media collages Suggestive of imaginary landscapes, gardens, pathways and other elements from the natural world, these artworks are an emotional and intuitive response that expresses the sense of awe I have for nature. Through the use of rich color, lush textures and abstract forms, they are landscapes of the mind rather than literal translation of landscape. My art emerges out of an enjoyment of the process of working with materials, with no preconceived idea when starting. 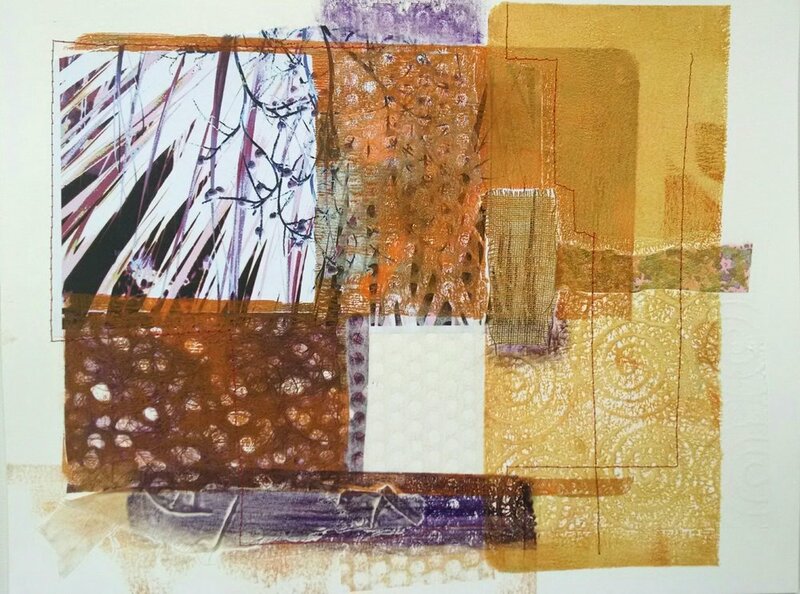 Intimate in scale, these abstract mixed media artworks began with simple arrangements of paper and fabric drawn from my extensive collage stash. 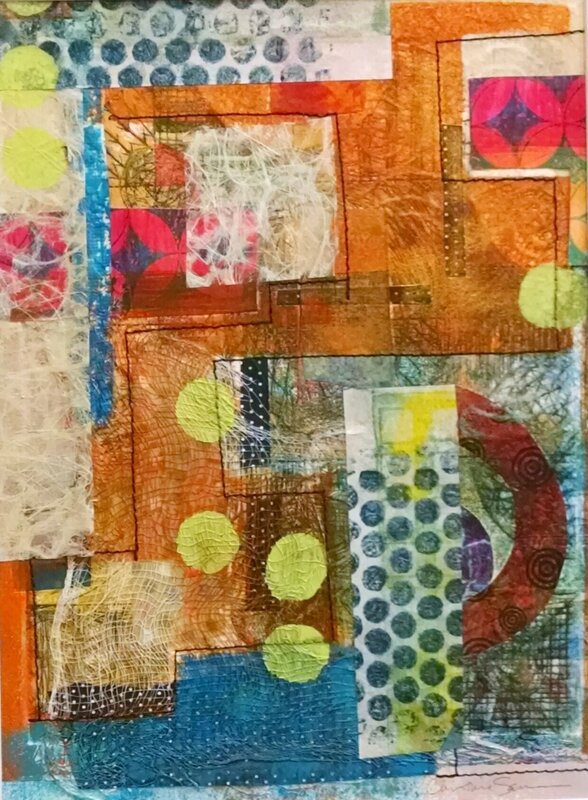 Each piece was layered with monoprinting and acrylic paint to create rich, textured surfaces. Using my sewing machine as a drawing tool, stitched lines were added to several pieces, visually reinforcing the overall design and adding a geometric counterpoint to the organic textures.